Hello Crafters! 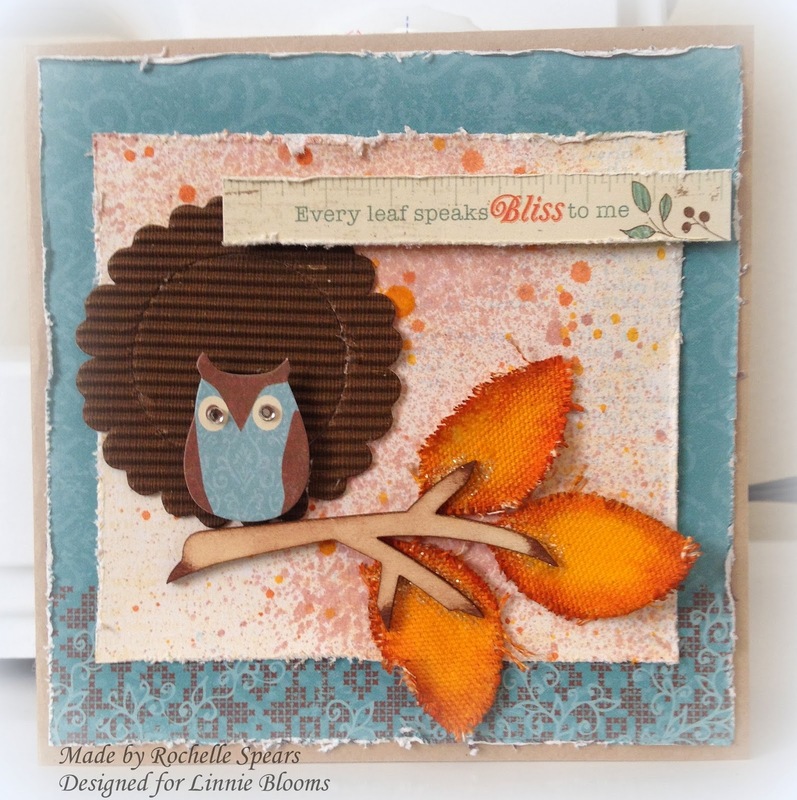 It's Rochelle today sharing with you a Fall card I made with the Linnie Blooms Canvas Leaves. 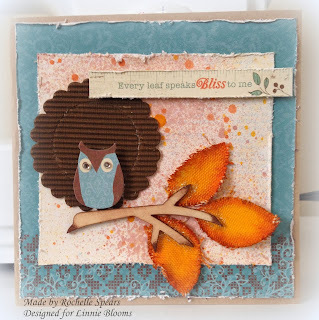 I really wanted to use the cute canvas Owl from Linnie Blooms but the postal carrier still has it! lol However, I LOVE the canvas leaves and can't get enough of them so I wanted to showcase them on this card. I didn't do anything fancy other than mix the different mist/inks to create the colors. I started with a cat-eye ink pad (brown) and inked the edges. Then I used Maya mist (Lemon) with added that color to the leaves with a brush. Lastly, I took Tattered Angels mist (Tiger Lily)on the outer parts of the leaves. I used water to blend the mists together. 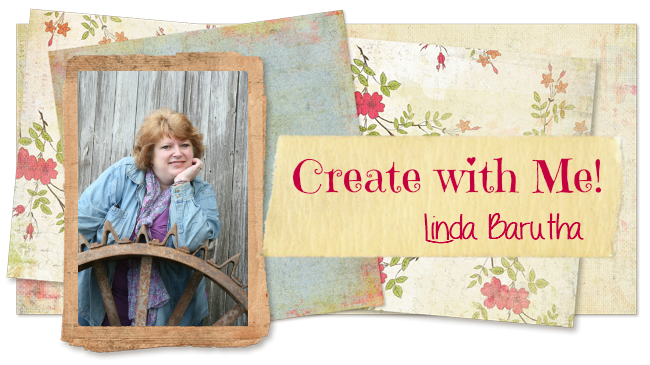 Make sure you check out Linnie Blooms store for awesome new Canvas Shapes!